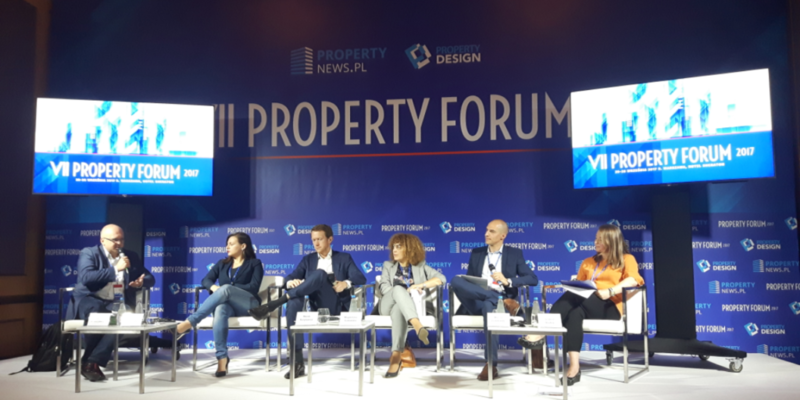 On September 25-26th Property Forum 2017 was held in Warsaw. Virtual Power Plant as in the previous year was a partner of the event. CEO of VVPlant Grzegorz Nowaczewski took part in two discussion panels relate to modern office buildings. We invite you to read a short report from discussion panel “Management. Facility management – this has already become a standard. A profit and loss account“ in which participated CEO of VPPlant. Property Forum is the largest event of the commercial real estate industry in Poland. This year over 1000 guests took part in it. It was unique because for the first time it was accompanied by Propertydesign.pl. Forum is dedicated to design and innovation in commercial interiors especially in work spaces. The Forum is organized by the PTWP Group publisher of the propertynews.pl and propertydesign.pl portals.